The best time to invest in real estate was a decade ago, when the market bottomed out and investment properties could be scooped up for pennies on the dollar. These properties would have been growing in value for the past few years, hopefully netting you not only equity but also monthly passive income. But what if you missed the boat on real estate investing? When is the second best time to jump into the market? Well, that would be today. If you’re considering getting into the real estate investing market, you need to plan to be in for the long haul if you want to maximize profits. More than that, though, you need to do some research as to which housing markets are worth investing in right now. 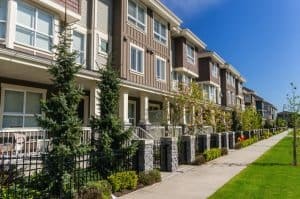 We have done the research to find the eight best housing markets in the United States, if you are considering a foray into real estate investing. Knowing where to direct your efforts, combined with wise investment choices, can set you up for decades of profits and passive income. You should also keep in mind that the areas we mention here should be ideal for a long-term investment property. If you’re instead looking to simply flip houses for quick profit, these may or may not be the right markets for you. Before we jump into the best U.S. housing markets for real estate investing, let’s talk a little bit about what makes those areas so great. Real estate investing can be tricky, and it’s important to find the right balance between demand and existing value, in order to really maximize your investment’s potential. For this, you will want to look at the growth trends in specific areas to see what is popular and booming right now. However, you don’t necessarily want to just jump into the market with the most attractive growth at the moment. While these cities certainly look enticing to you now, they also look attractive to everyone else. This means that the market could easily be oversaturated and overpriced in a few short years, leading to an investment that stalls or even loses value when the bubble eventually bursts. Instead, you should look at the projected growth in a specific area, to see where that market is expected to be in three, five, or 10 years. Medium-growth markets are much more sustainable in the long-term, and boast the ability to be attractive both now and years down the line. The more jobs an area can offer–especially from popular, reliable, or high-paying companies–the more people are willing to move and buy homes there. Thus, you should certainly consider investing in a market that has a great job market now, has recently become a hub for a large company, or is expected to see the addition of a reliable industry in the near future. For instance, companies like Amazon are setting up hubs all around the country, with cities vying to be the next chosen location. The addition of a company like this to a housing market means guaranteed jobs, area growth, and an influx of newcomers and new homebuyers alike. You can also take a look at recent building permits from in a specific area, to see what sort of plans are in the works for the near future. Even before any announcements happen, this could give you a peek at big projects that could transform an entire city. An area with promising growth doesn’t mean that you should invest in real estate there. Investing in a market that already has a high vacancy rate or extremely high housing prices could mean owning an investment property that is difficult to fill. If vacancy is high in an area, even if the economy is booming, you will inevitably struggle to find a balance between occupancy and profitability. You will compete with other vacancies to find tenants, meaning that you won’t see the rental prices that you deserve, especially for an in-demand area. With all of that said, let’s take a look at some of the U.S. housing markets that are looking the most enticing right now. These numbers are based on information provided by Local Market Monitor, after collecting data across more than 3,000 markets to create their most recent survey. If you are considering a jump into real estate investing, the following eight markets are a great place to start looking. While California can seem out of reach, what with its exorbitantly-high home prices in metropolitan areas, this isn’t the case everywhere. In fact, the state’s capital area is projected to have some very healthy growth in the coming years, making it an excellent place to consider investing. Currently, the Sacramento-Arden-Arcade-Roseville area of California has an average home price of $327,073. The population in this area is expected to see population growth just under 4% in the next three years, as well as job growth of about 5% in the next two years alone. These two factors alone will be responsible for bringing a significant number of new renters to the area. In addition, the projected home price growth is 10% in the next year, and prices are expected to jump by a whopping 33% in the next three years. This makes Sacramento and the surrounding area a great place to start looking, if west coast investing piques your interest. Bonus tidbit: Los Angeles is a pricey market to jump into, but it may still be worth considering for real estate investing right now… if you find the right property. The Olympics are coming to LA in 2028, meaning that you have a 10-year jump on the boom that will inevitably occur around the big event. Texas is one of the few markets that didn’t get hit very hard when the housing bubble burst a decade ago. Housing prices remain relatively low while the economy there shows only signs of growth, making it a great place to think about investing. Fort Worth (the sister city to Dallas) and its suburb, Arlington, show excellent potential for real estate investors. Currently, the average home price there is only $235,398, which is expected to climb by 11% in the next year and 26% in the next three years. Additionally, the population in this area is projected to increase by 5.6% in the coming three years, with jobs growing by about 5% in the next two years alone. When you think about the U.S. and all of the exciting places you could start your real estate investment journey, you probably don’t first think about Missouri. But if you did, you would be wise, based on the growth projections provided for the area. Currently, homes in Springfield have an average cost of only $154,557. However, this is believed to be undervalued by as much as 17%, when historic income and home price data is compared. The undervalued home price not only has the potential to correct itself in the coming years, but is also predicted to jump by 5% in the next year and 14% in the next three. Additionally, the Springfield population is projected to increase by 2.3% in the coming three years, with jobs also jumping by 5.1% in the next two years. I took a recent trip to Nashville and noticed a surprising trend: everywhere I looked, there were bachelorette parties! Apparently, Nashville has quickly turned into the bachelorette party destination in recent years, and the economy is booming as a result. In fact, these pre-wedding festivities play a large role in the billions of dollars that visitor spending is bringing to the city each year. As you can imagine, the growth is spreading. The average home price in the Nashville, Davidson, and Murfreesboro area is currently $288,842, but expected to rise 27% in the coming three years (10% in the next year). The city should see population growth around 6.1% over the next 36 months, with a projected two-year job growth of 5.5%. If you’re looking for a city that is a growing hotspot, with encouraging projections for home prices in the next few years, take a peek at Nashville. It shouldn’t be too surprising that another Utah market is in the top five, especially when it’s a city only about an hour’s drive from the number two market. The Provo/Orem area of the Beehive State is expected to see similar growth as Ogden, Utah in the next few years, making it a good place to look if you’re considering jumping into a real estate investment. Not only are housing prices expected to climb 10% in the next year–from the current $266,169 average–but the three-year growth is projected to be an impressive 31% price jump. On top of that, the area should see a population increase of 7.2% in the coming three years, with jobs growing by 6.7% in only two years. Plus, the city is home to Brigham Young University, meaning that there will always be a steady flow of potential renters (if that happens to be your target tenant). Housing prices have been climbing steadily in recent years, but some suspect that there is a bit of a lag in the Raleigh, North Carolina area. This is great news for potential investors, as it means an opportunity to snag properties while they are likely undervalued; later on, when the local market corrects, it would result in an even bigger value jump than expected. As of today, Raleigh home prices are thought to be about 3% lower than expected, when historic trends regarding income and housing prices are taken into consideration. The average home price in Raleigh currently sits at $274,980, with an expected rise of 8% in one year’s time and 26% in three. Jobs are projected to grow by 5.8% in the next two years, with a population jump of 4.9% in three years. Utah is not only an incredibly beautiful state to live in; it’s also a great place to consider a rental property. And if you’re looking at getting into real estate investing in Utah, the Ogden area is certainly worth a look. The average home price in Ogden is $246,251, which is expected to grow by 10% by next year. Within the next three years, home prices are forecast to jump an impressive 29% total. In addition to that, jobs are projected to jump by 5.7% in the next two years in the Ogden area and the population should grow by 5.1% in three years’ time. The home of Disneyworld, Orlando is centrally-located in the Sunshine State. It’s close enough to big areas like Miami and Daytona Beach, but far enough removed to be enticing for families and budget-conscious renters alike. Plus, the market is expected to grow exponentially in the coming years. Right now, the average home price in Orlando is $247,550, and is expected to grow by 9% in the next year. Most exciting, though, is that home prices in Orlando are expected to jump by 35% in the next three years alone! Jobs in this central Florida city should increase by about 7.1% in the next two years, with the population growing by nearly 8% in three years. Both of these factors, combined with the increase in housing prices, mean that a real estate investment today could be incredibly lucrative in the next few years–and for many more to come. As with any investment, the addition of real estate to your financial portfolio should be done only after some thorough research. By buying in the wrong market or at the wrong price, you could wind up with a property that doesn’t rent out frequently enough or doesn’t turn a profit for many years. When you’re ready to begin your real estate search, think about your finance options first. Look into Lending Tree to shop online for a mortgage. Crowdfunding company, PeerStreet, is another alternative for loans. And if you want to wipe out any debt before adding a mortgage, check out LendingClub for personal loans or SoFi for student loan refinancing. Then spend some time looking into different housing markets and their projected growth, to determine the areas most likely to give you a good return on your investment. That way, you’ll not only have a better chance of making money right away, but also for many years to come.